Obviously inspired by Tom Brady and the Patriots' "deflate-gate." I'm a Packers fan, so lighten up Pats fans! 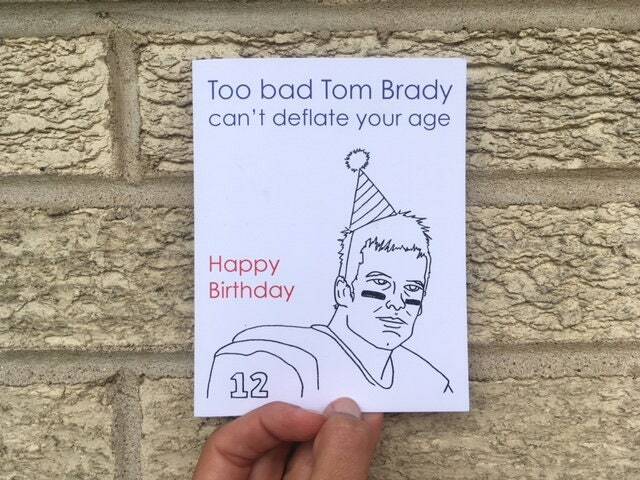 Awesome card, perfect for my Brady obsessed father-in-law!